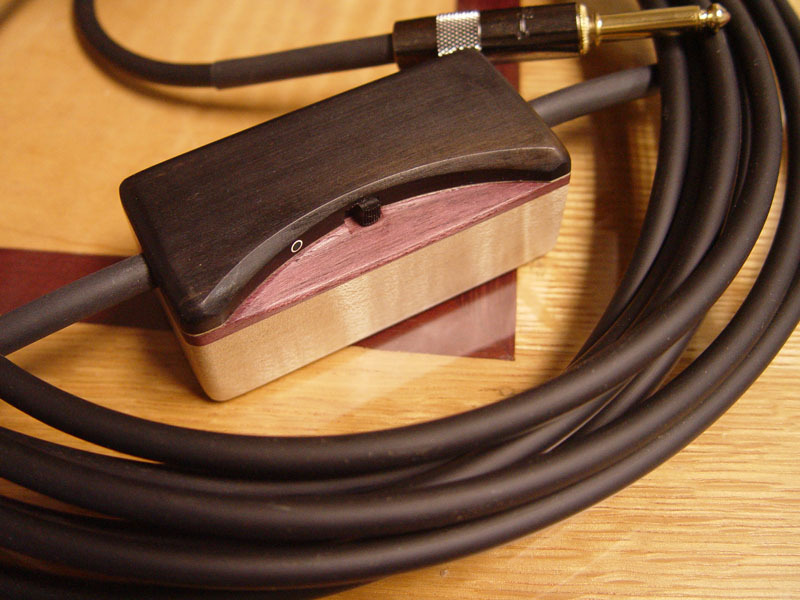 Alembic Active Cables™ are unlike any cables you’ve ever heard. Built into the wooden box is an active preamp. This preamp allows you to enjoy the benefits of active electronics without modifying your instrument. Listen to the difference yourself. The Active Cable™ is designed for use with passive instruments: bass, guitar and even acoustics. There is no advantage when used with an active instrument. To use, slide the switch on and note the LED flash to confirm you have power from the 9V battery. 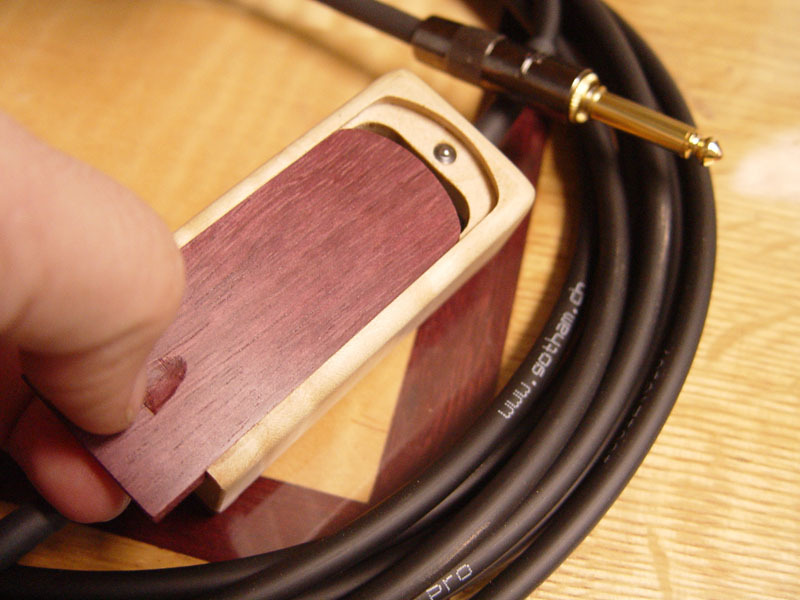 Connect the short end of the cable to your amplifier and the long end to your instrument. That’s it! If your battery goes dead, the cable will not operate (no signal). The battery drain is very low, (~100µA) and should last a good 6-10 months if you remember to turn the Active Cable™ off when not in use. To be on the safe side, change your battery twice a year, like at the summer and winter solstice so it’s easy to track. Be nice to your cable and it will be nice to you for years. Don’t wind it up tightly or scrunch it. Coil it gently using the over and under loop method and it will lie flat when you uncoil. We make the box from some of the same woods we craft our fine basses and guitars from: Flame Maple, Purpleheart and Ebony. Battery Access - No Tools!